Ever since I was young and saw the Family Robinson movie where a family gets stranded on an island and builds up a life in a treehouse over there I dreamed about living a life like that. I haven’t thought about that for a long time but when we yesterday walked to a viewpoint Koh Phangan and discovered that a family with a baby was living over there in a Robinson style tree hut it came back to me. I really enjoyed the walk to it but also the way this family built that house and is living there for already 10 years. I started to question myself if I really could live like that nowadays and to be honest I think I could but I don’t think the family would agree with me. 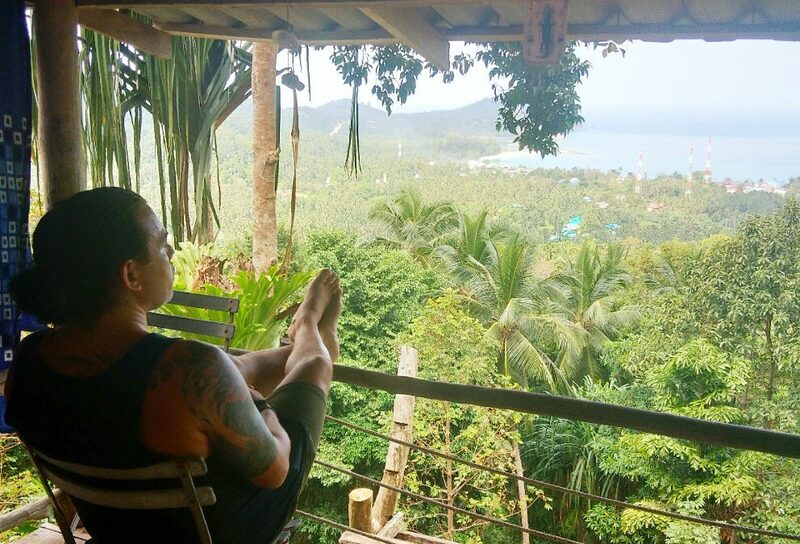 Just imagine building a treehouse by yourself with an amazing view and then keep building another part for the kids and a part to kook and to relax and so on and on. Get water from a waterfall etc. Man, that would be amazing to accomplish. Ok to be honest the treehouse we visited had electricity and streaming water but still, everything was open and a 30-minute hike into the jungle away from everybody. When we arrived at the treehouse nobody was there and I sat down on their view platform and took a look into their house. Everything was open. There was as TV etc but all out in the open. We sat down at the view deck to enjoy the view and suddenly the owner came home. Sawadee Kap and how are you was all he said. He took some stuff out of the room and just laughed happy at us. I complimented him on the house. He just replied with thank you, enjoy it and he left again. Ok, this was for me the ultimate minimalistic feeling and I understood that this man was living as minimalistic as it gets and he didn’t care about the value of the things in his treehouse. He didn’t worry for a second that we would take something from his stuff and that is, in my opinion, the real feeling of trust in humanity and minimalism. I enjoyed the view some more and dreamed away about a life like this and how it would be. Yes, we live a minimalistic life as well but we still travel with a laptop, iPhone and a few other things and to be honest you are always afraid to lose them. I don’t care about losing the phone or laptop but I do care about losing what’s on my phone and laptop. This is one of those things why I think that Blockchain will be the solution for living a decentral life where I will be able to safely save my data on a decentral unhackable system where other people can’t use my data for anything else. A decentral Facebook, twitter, instagram, online storage that can’t wrongly use your data and share it with other people. Totally decentralized so it can’t go bankrupt or offline and your data will always be safe and there for you 24/7. 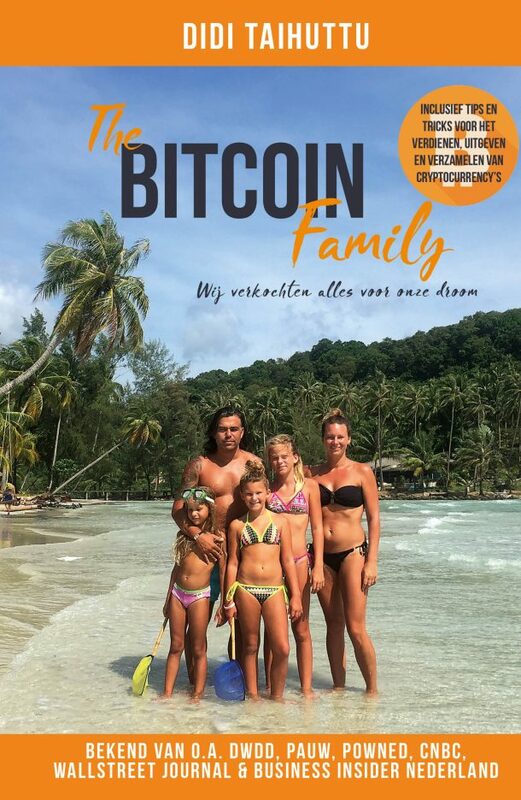 The blockchain and Bitcoin are a solution for many of these situations but then again I wouldn’t need them if I was living in a tree hut on an Island where I can drink fresh coconut juice and eat bananas and other fruits for free. Could you live like this? Watch our youtube movie about the treehouse and the hike to it.